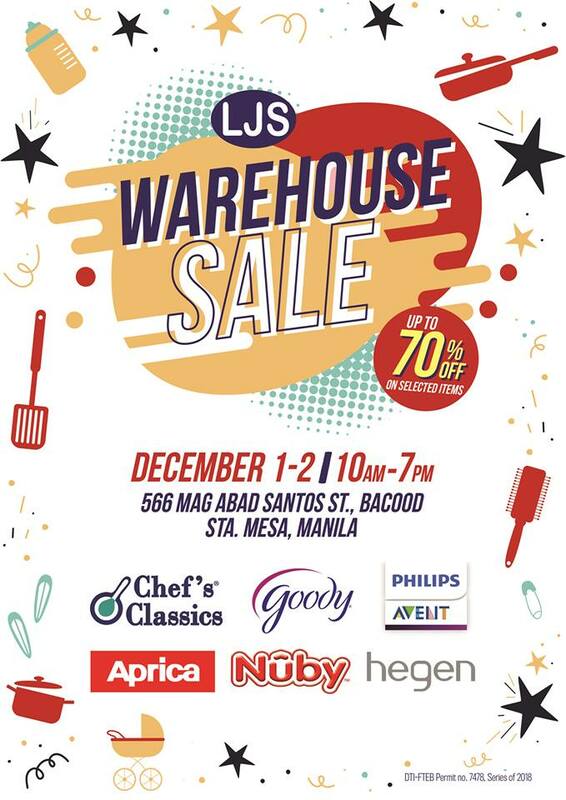 LJS Warehouse Sale is back! 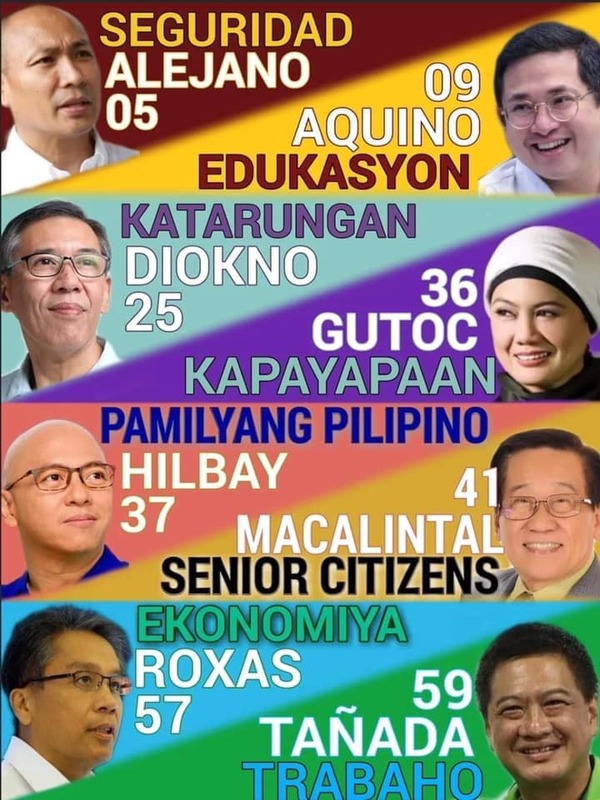 Check it out on December 1 to December 2, 2018. 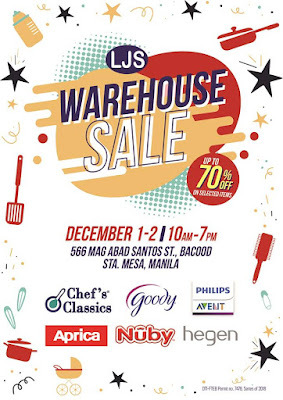 Score great finds, and awesome deals of up to 70% off on your favorite brands like Chef's Classics, Goody, Philips Avent, Aprica, and Nuby, and more... From cookware to baby bottles, there's much to find and something for everyone. Expect long lines and a big crowd, so come prepared. 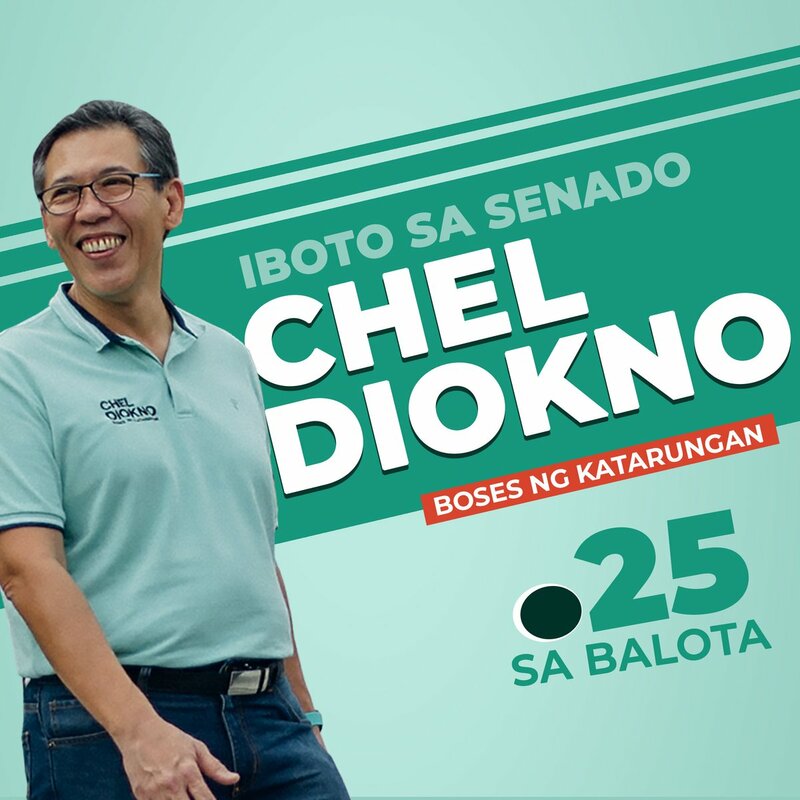 Riding a Grab? 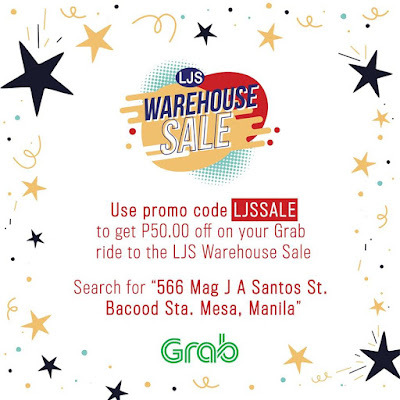 Use the promo code above to get P50 off on you Grab ride.